Like all of us, my life has had its ups and downs. It’s through troubles, though, that I’ve found hope and inspiration to help me live courageously and grow. Since much of that encouragement has come from books, as I start this new year with my new word, I’m stocking up on courageous reading, along with some wisdom from an unexpected source. One of my go-to “comfort authors” is Louisa May Alcott. Although famed as the creator of Little Women, she also wrote a number of less well-known stories, some based on her experience as a nurse during the American Civil War (e.g. 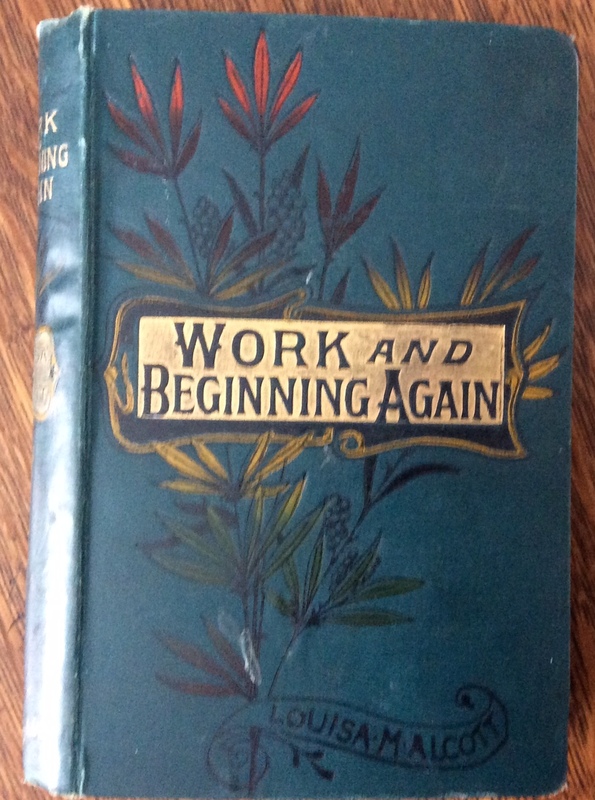 Hospital Sketches, 1863), and others inspired by her life as a woman working to support herself in what was then the new industrial age (Work and Beginning Again, 1872). Throughout her life, Alcott faced many times of sorrow, disappointment and bitterness. But from “look for the learning” in any painful experience, to “I’m not afraid of storms, for I’m learning how to sail my ship,” her nineteenth century words still ring true in a twenty-first century world, and are amongst those I return to often. 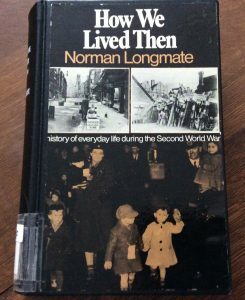 At the moment, I’m reading How We Lived Then: A History of Everyday Life During the Second World War by Norman Longmate. Based on first-person accounts, it’s a compelling social history of how ordinary British people coped with extraordinary circumstances, facing adversity with not only courage but good humour. From food rationing to bombs, evacuation from homes and the loss of loved ones, along with the lighter aspects of wartime life such as films, songs and books, How We Lived Then is a powerful testimony to the resilience of the human spirit. It’s also given me new appreciation for the hardships English relatives experienced in wartime and given fresh context for family memories. In the summer of 1939, for example, my great-grandfather in Canada sent his daughter, then teaching in England, an urgent telegram summoning her home with passage booked on the last ship to cross the Atlantic before war was declared. Last week, I went to the bank safety deposit box where we keep family papers. Amongst the birth certificates and passports, a newspaper clipping slipped out, stuck inside a yellowed envelope. 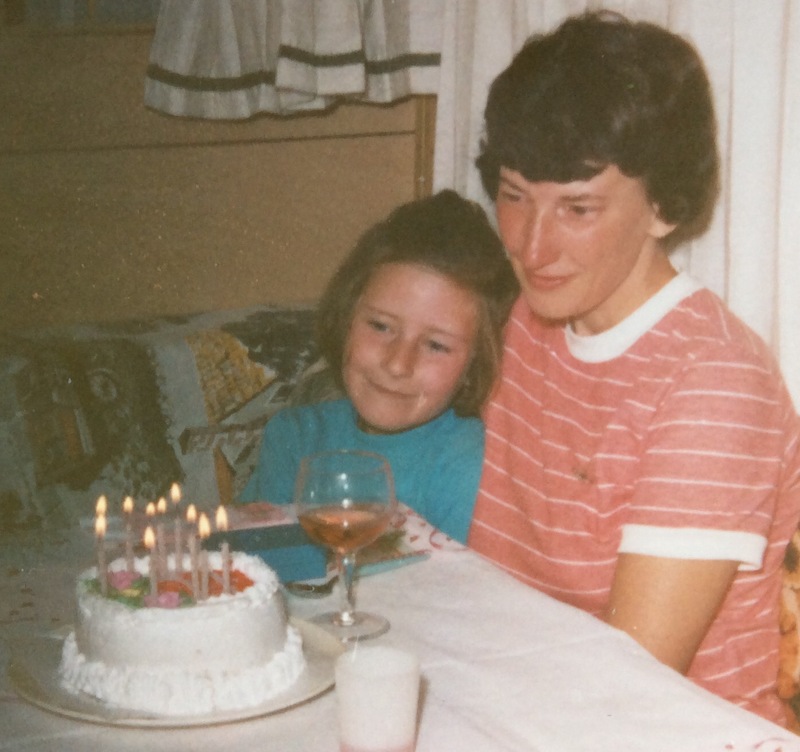 It was about living in the moment and included something I often remember my late mother saying—namely, be as kind as you can because you never know what battle someone is fighting. And there, when I least expected it, was another source of inspiration for my year of courage. My dear mom, who guided and helped me in life, was somehow there with words of wisdom from beyond the grave, just when I needed them. As I move forward into 2018, I draw comfort from those who have gone before, finding strength and inspiration in the courage of their lives and examples. And as always, I’m well stocked with ice cream, my comfort (and courage) food of choice! I feel the same as Kate, Jen…another lovely post. Tissues needed here as well. Thank you! And thank you for reading, Lynn. I’m honoured that my post touched you. What a lovely post, Jen, so heartfelt and absolutely perfect to start off your year of courage. I too have read the book about the Home Front that you are currently reading and reading it put me constantly in my of my parents and grandparents, who all lived through/served in the war. The best moments when reading social history come when you can attach a piece of information to your own family background. As for the newspaper clipping – what a wise lady your mum was. Her memory must be a constant inspiration to you.